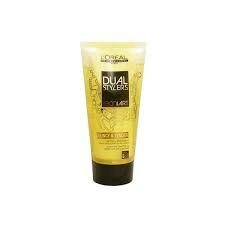 Part of the Dual Stylers range from L’Oreal Professionnel, the Tecni Art Bouncy And Tender (150ml) helps to create big, bouncy curls with a smooth and soft finish. Giving curls definition for up to 72 hours, the dual-action formula also protects from frizz and humidity, keeping hair looking salon perfect. Buy L’oreal Professionnel Tecni.ART Bouncy and Tender 150ml on-line today at Riah Hair.